A family that travels together, stays together. Agree? For us, going to different places is made more fun when spent with family. 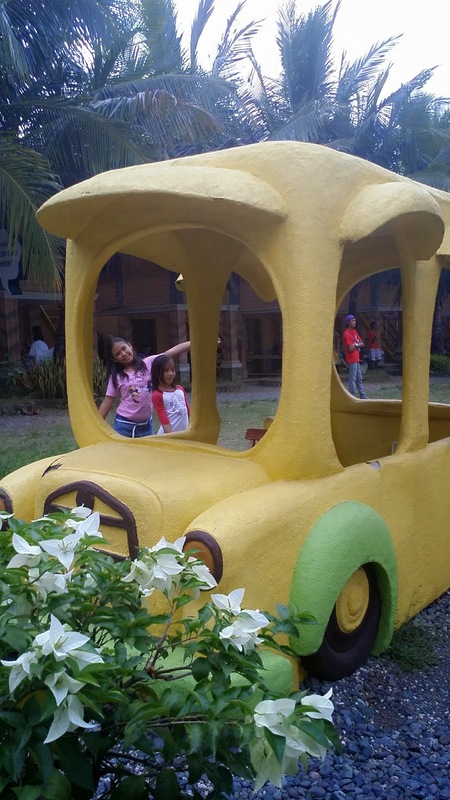 This time, it's made even more memorable as it's the first time I have traveled together my unica-hija. It feels weird without my boys around but it's exciting to have this opportunity to bond with my daughter. 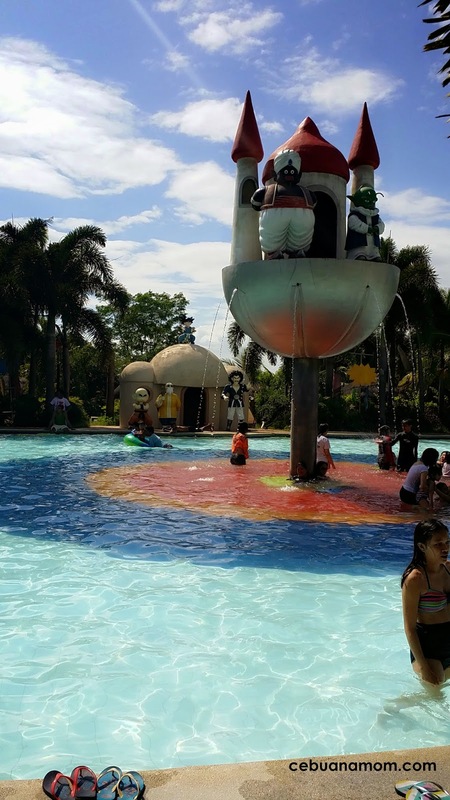 I'm a huge fan of group buying sites and this is where I first saw Amana Waterpark in Pandi Bulacan, The pictures look promising and the reviews were mostly positive so we give it a go. We were able to get a discounted Entrance Pass for P125 instead of P250 through Metrodeal. 50% discount is definitely a steal for us. Children below 2 years of age are free of charge. 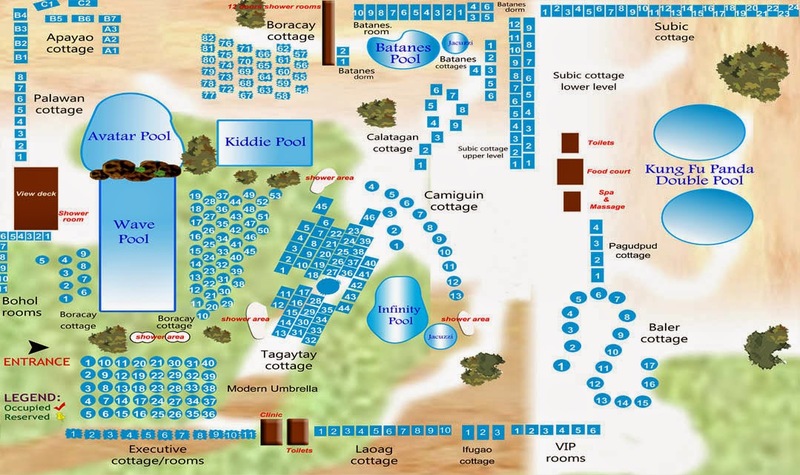 We rented their Boracay Cottage as it is situated between the Wavepool and the Kiddie Pool. Aside from the fact that it's their cheapest cottage, it perfectly accommodates a small group of up to 8 people. If you're planning to spend the night here, they have different rooms to choose from. I like their native theme and it's noticeable that most rooms are made of local materials such as rattan and Nipa (Palm Tree). 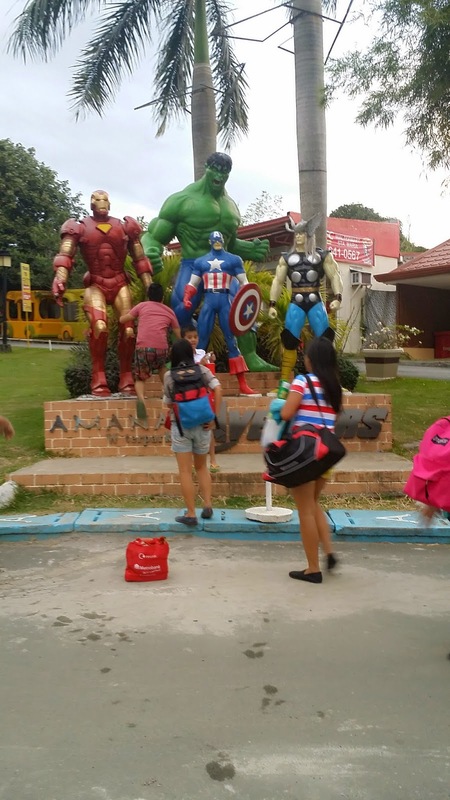 The entire resort is filled with life-sized characters from popular TV shows that kids will surely love. They have Madagascar, Kung Fu Panda, Shrek, and many more that will surely make a good picture moment. 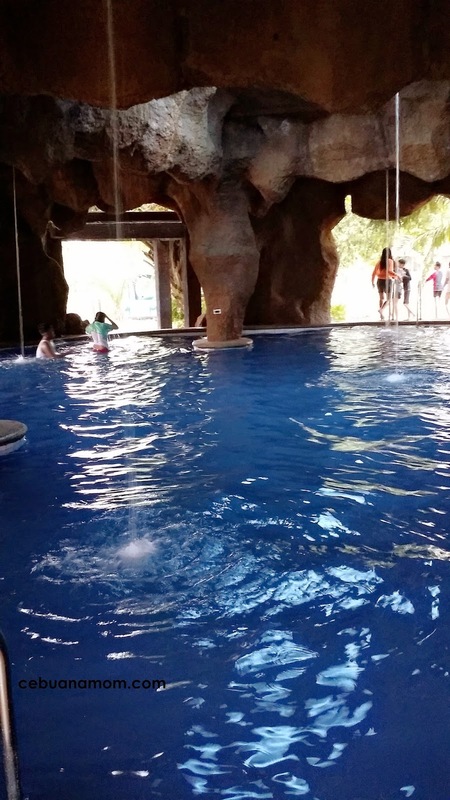 They also have a lot of different pools to choose from depending on your preference. When we were there. some were under construction and renovation. Too bad, but still, we had a lot of fun. 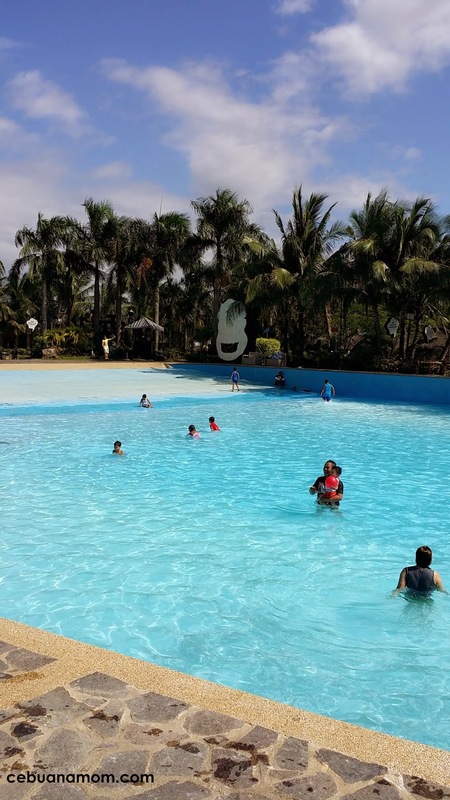 Their wave pool is 3,500 square meter while your kiddos can also swim safely in a 500 square meter kiddie pool. The Kung Fu Panda Pool is safe for children as it is only between 2ft - 3ft. 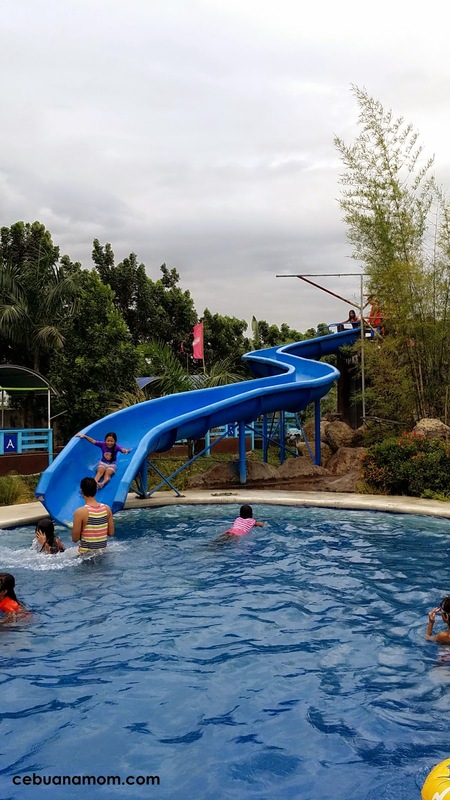 With the slide, this pool is also frequented by families with children since their wave pool can be too crowded at times. 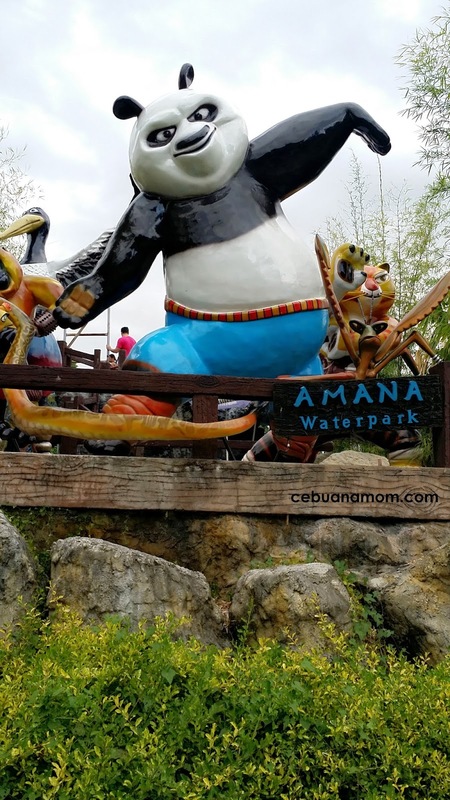 Note: We visited Amana Waterpark last November 2014 so some of the attractions may no longer look the same as they were in the process of renovations when we were there. 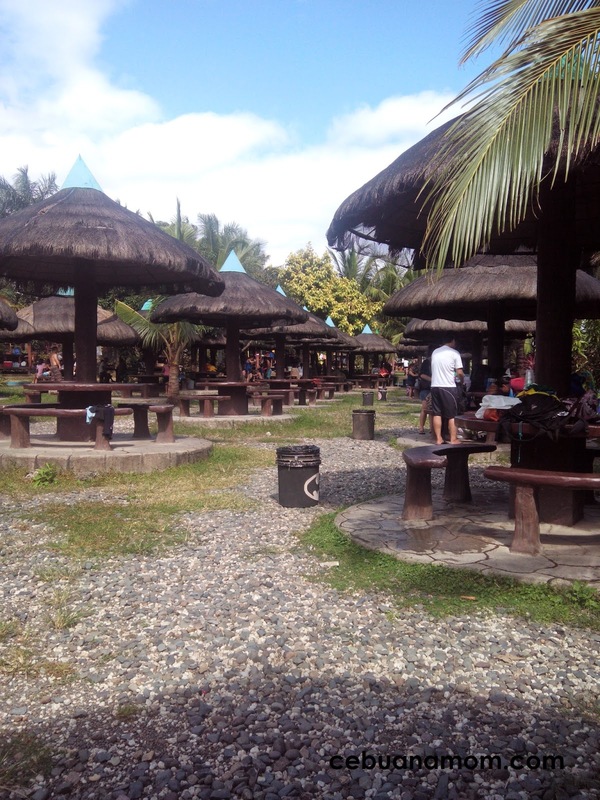 For sure this resort will be filled by visitors this Holy Week, especially on Easter Sunday. Great to know that you got a 50 percent off the entrance price! Wow, this waterpark looks huge and the prices are reasonable. This is perfect for families to visit this summer vacation! Kids surely love this place. Super heroes are all over the place. We have similar set up of this place too. 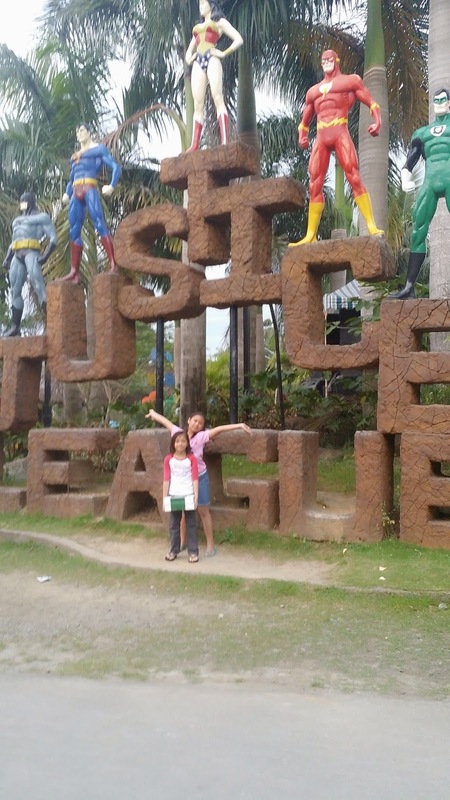 Big statues or replicas of super heroes are also present. And the place is so cool for it is located atop of the mountain. This is on our list. Malapit lang kasi sa mga in-laws ko. This is the first time I've heard of this place. 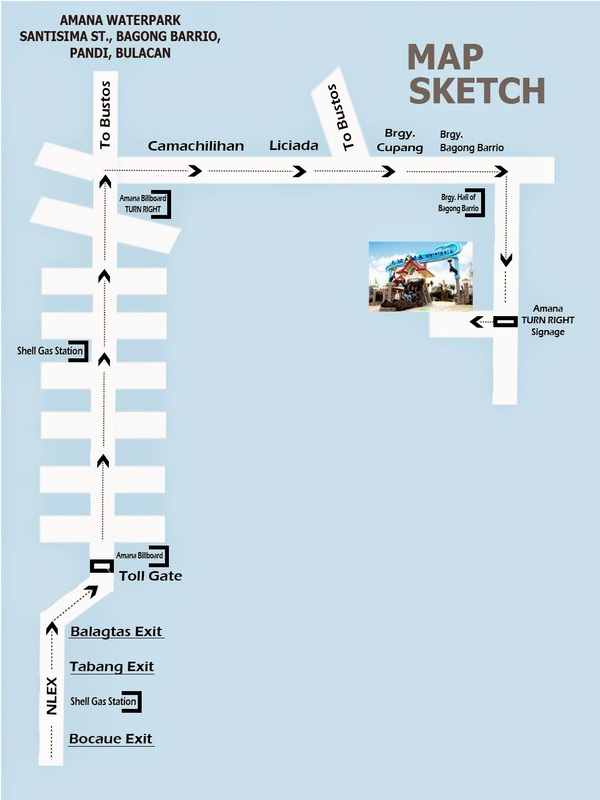 It looks like a good alternative to Splash Island, and it's pretty cheap too. I will add this to places I should go to this summer. Oh-oh this place is so cool, especially for kids. Wooot! It is summer time and need to splash and a cool water. i always hear about this resort but never got the chance to check it out! nice place to bring your kids to esp this summer! and you got it at a really low rate! 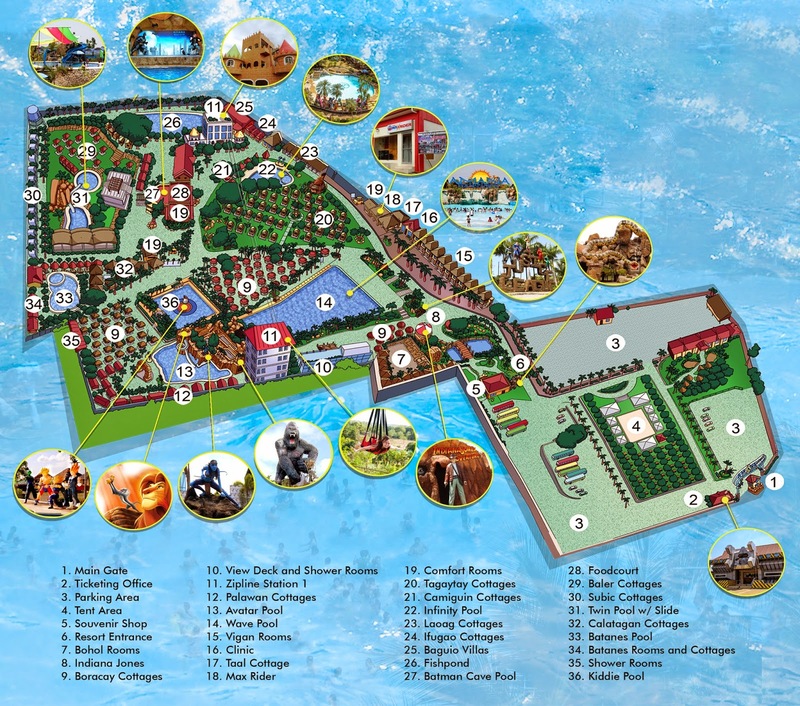 The place is impressive with all the water attractions and all the massive displays plus it's so near Metro Manila.